I have finished a new version of DISMUI that includes support for Windows Embedded 8.1 Industry Pro. Most of DISMUIs code has been rewritten for this release to enhance the overall experience and also uses a bit of a refreshed design. 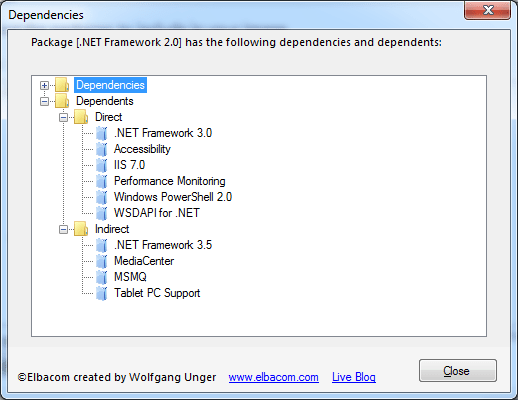 The new version also contains a new feature that allows showing all dependents of a specific component. This makes it easy to find out why a component gets pulled back in during dependency check. It also allows to install missing drivers easily in Windows Embedded 8 Standard. 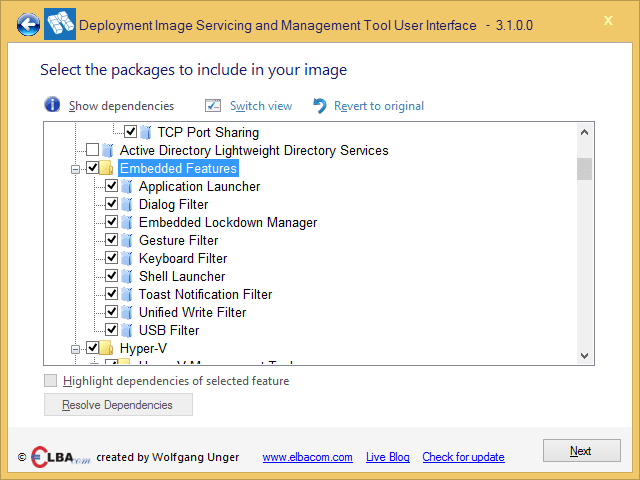 Also it allows enabling and disabling Windows Features, even if the system itself does not support componentization. Therefore DISMUI can also be used with Windows Embedded 8.1 Industry Pro. The new version is based on .NET 4.0 that enables to use DISMUI from within Windows PE 8.x. If DISMUI is required to run on systems that only have .NET 2.0 installed, please download the older version DISMUI 3.0 from here.